The challenge "You could be a card design superstar" over at the MFT blog does still continue, so I wanted to use my chance to apply for the challenge. For this opportunity, I created a Christmas card. At first, I stamped all of the adorable images using the Memento Tuxedo black ink onto a Neenah Solar White cardstock, and colored them with Copic Markers. Thereafter, I used my Sizzix Big Shot Machine and coordinating Cool Day dies to cut out the images. 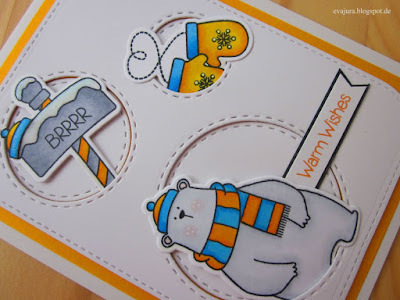 All of the images that I used for this card are from the Cool Day stamp set by MFT. I know, I have used this stamp set many times already, but I can't get enough of these lovely polar bears. I'm curious what winter or Christmas stamp set will the MFT team release this year. As you might see, to finish my card, I used white gel pen, Wink of Stella glitter brush and Glossy Accents. 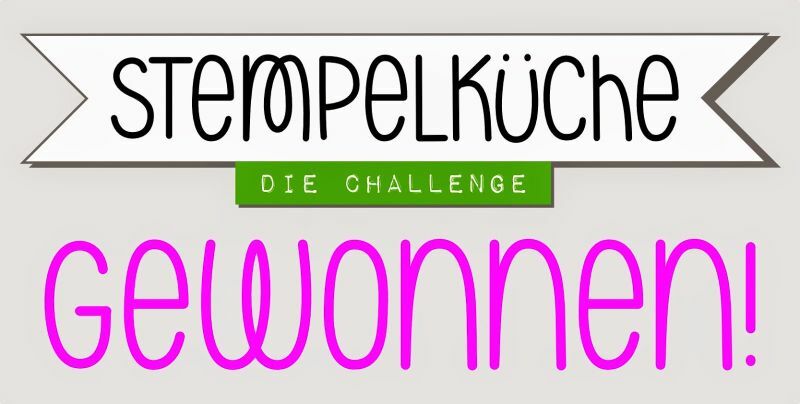 Paperminutes #400 - "Alles geht"
Wow - what a fantastic idea. I love the way you used the circles. Fantastic card! Lovely colors and great design.